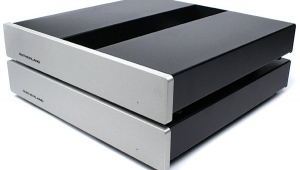 My reference in phono preamplifiers is the superb Vendetta Research SCP2B, designed and manufactured by John Curl. 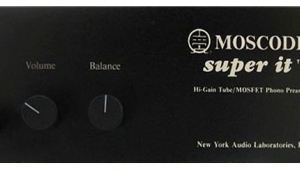 This $2500 unit, purchased by Stereophile after JGH's glowing review in Vol.11 No.6 (June 1988), has been an integral part of my LP chain for the past year. Everyone who has heard the SCP2B has been captivated by its musicality. 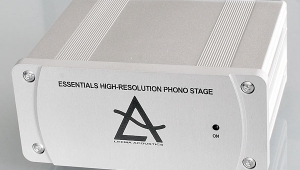 The Vendetta is vastly superior to other phono stages I've had in the listening room, including the Audio Research SP-11 Mk.II, SP-14, and Classé DR-5. 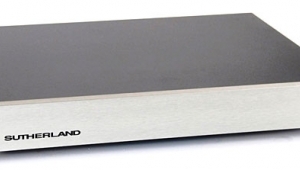 The Vendetta thus stands as a benchmark against which other phono stages can be judged (footnote 1). 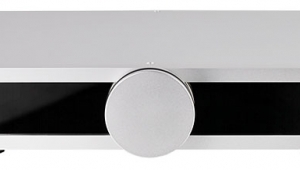 The LP front end for the comparison included the Well-Tempered Turntable fitted with a WT Tonearm and AudioQuest AQ7000 cartridge. The WTT has been heavily modified with Lary Pederson's arm tweaks and Marigo's Well-Damped Clamp, isolation system, and platter mat (see "Follow-Up," next issue). The whole rig was mounted on a spiked and lead-shot-filled Merrill Stable Table. 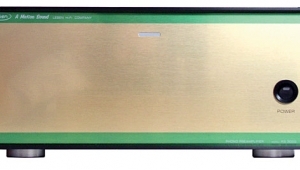 Interconnects in the phono chain were Expressive Technologies superb new IC-2 cable. 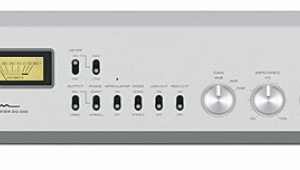 Both phono preamps fed Audio Research's LS2 line-stage preamplifier, presumably the ideal match for the PH1. 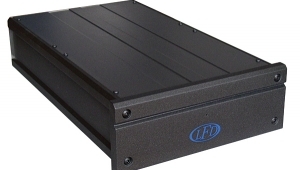 The LS2 drove the Muse Model 18 subwoofer through 20' runs of IC-2, with the Muse's HF output feeding a Mark Levinson No.23.5 power amplifier via a 1m run of AudioQuest Diamond. 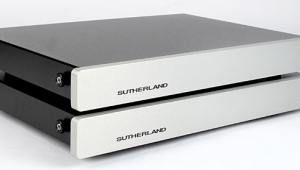 The No.23.5 drove the usual Hales System Two Signatures via 8' runs of bi-wired AudioQuest Sterling/Midnight. I first felt that the PH1 was resolving more information than the Vendetta, but quickly realized that the more laid-back Vendetta was actually revealing more detail in the recording, but was doing so with greater subtlety. 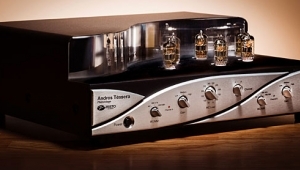 The PH1 tended to hype detail—particularly transient information—at the expense of conveying the music's innermost nuances. Conversely, the Vendetta was more suave and delicate, allowing the listener to move into the music and explore the finely woven fabric of instrumental textures. I found the latter a more satisfying experience. 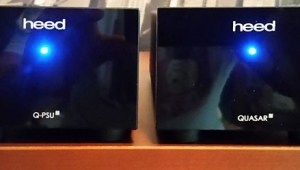 Nevertheless, the PH1's clarity and transparency provided a huge, clear picture window on the music...[but] I didn't feel the sense of relaxation and ease that characterizes the Vendetta. This is one area in which the Vendetta is unparalleled; its portrayal of instrumental textures can only be described as gorgeous. 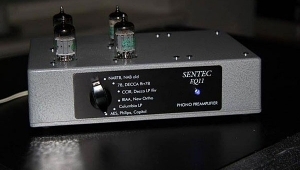 In the ability to throw a sense of space and depth before the listener, the PH1 was excellent, while not being in the same league as the Vendetta.. The PH1 was drier, less spacious, and lacked the Vendetta's degree of three-dimensional layering. On one track of the Cascades LP, the percussion instruments at the extreme left and right of the soundstage have the least reverb; each successive pair of percussion tracks is panned a little closer to center and has a greater sense of distance, with one instrument dead center in the soundstage, seemingly miles away. 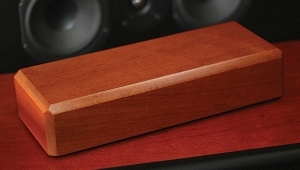 The Vendetta better resolved the spatial cues that allow the listener to hear the three-dimensional effect of this technique. There was also greater spatial separation between instruments, with the farthest instruments appearing to be even farther away (footnote 2). The Vendetta also had a greater sense of air surrounding instrumental outlines. 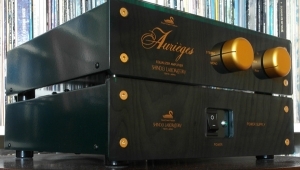 Stage width, however, was comparable, with each phono preamp throwing a very wide soundstage. 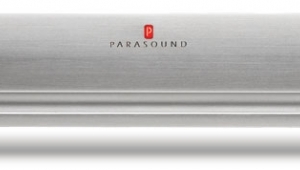 Bass presentation through the PH1 tended to be lean and tight rather than generous and weighty. 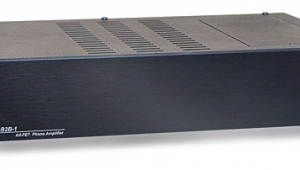 Again, the nod goes to the Vendetta, [which] had a greater warmth, roundness, and power...Despite the system bias toward the Vendetta, I have no doubt it is the better phono stage. I found myself enjoying music more through the Vendetta. It seemed to convey more of the music's expression and emotion, making it easier to get lost in the music and forget about the sound.